Khirbat an-Nuhas means ‘ruins of copper’. 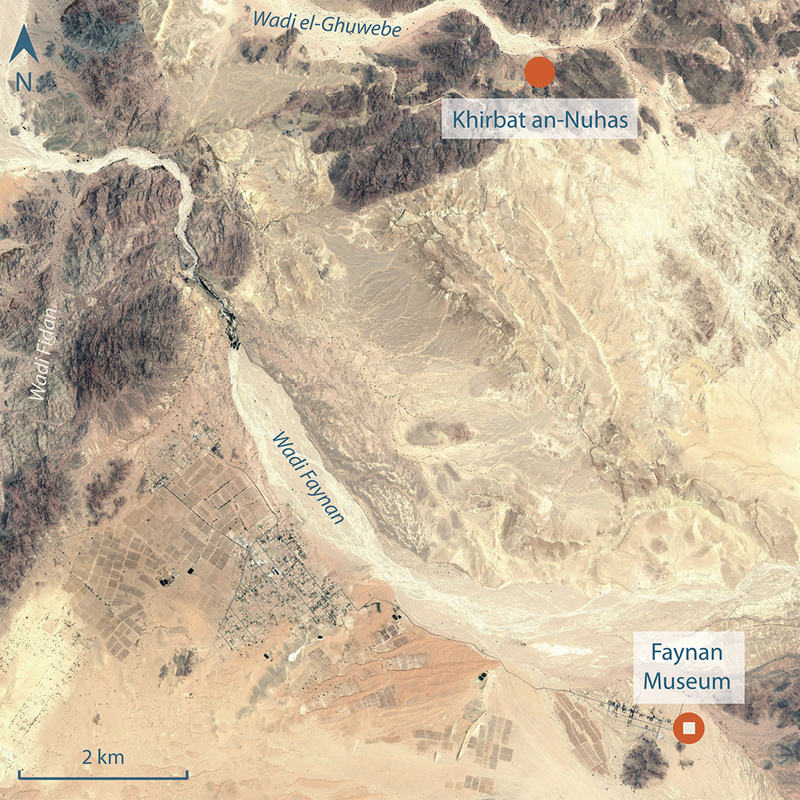 It covers 10 hectares, making it the largest copper working site in southern Jordan, and is one of five major Iron Age metallurgical sites that developed within the vicinity of Faynan between 3,000 and 2,500 years ago (c.1000 to 500 BC). The centrepiece of Khirbat an- Nuhas was a substantial fort, the ruins of which still stand to a considerable height. The fort was surrounded by at least 100 separate buildings, some of which appear to have been metallurgical workshops. 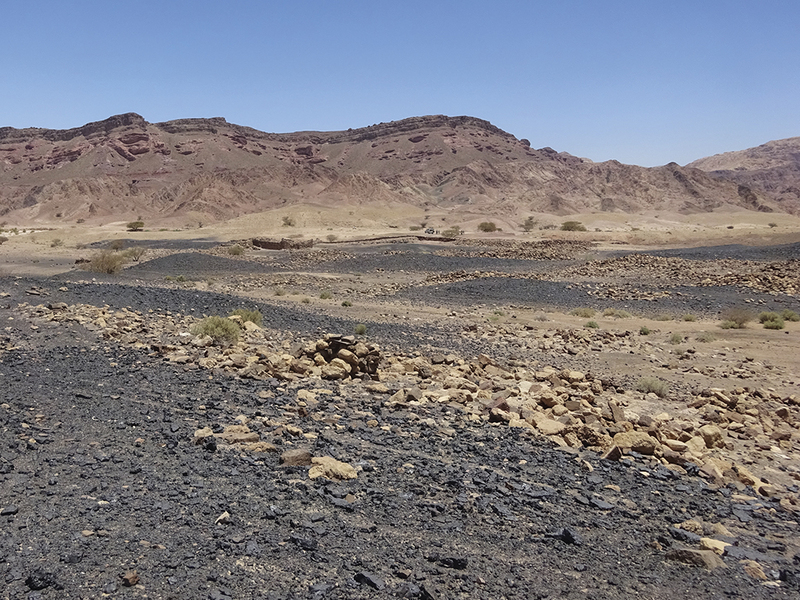 Enormous slag heaps up to 6m deep surround the settlement and came to entirely engulf many of the buildings. 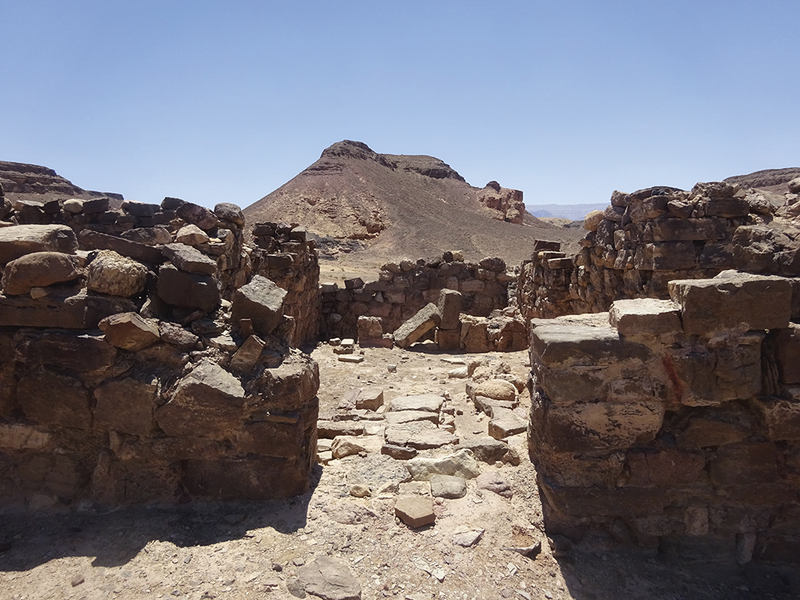 The archaeological evidence at Khirbat an-Nuhas shows how the new Iron Age technology enabled copper smelting to take place on an enormous scale. A massive two-storey building with a well-preserved stairwell was probably the residence for the elite people who were in control of the copper production at the site. They may have been involved in the development of Edom as a political entity, prior to the movement of power to the highlands.